Fresh from her complete and total refurbishment, Seven Seas Voyager now boasts a refreshed elegant style in her restaurants and lounges, as well as luxurious new décor across her 350 suites. And with 447 international crew on board, personal service is exceedingly indulgent throughout. 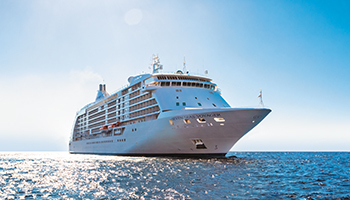 Among her four dining options that allow guests to savor meals whenever and with whomever, Seven Seas Voyager features the new modern French restaurant Chartreuse and several new production shows at the Constellation Theater.